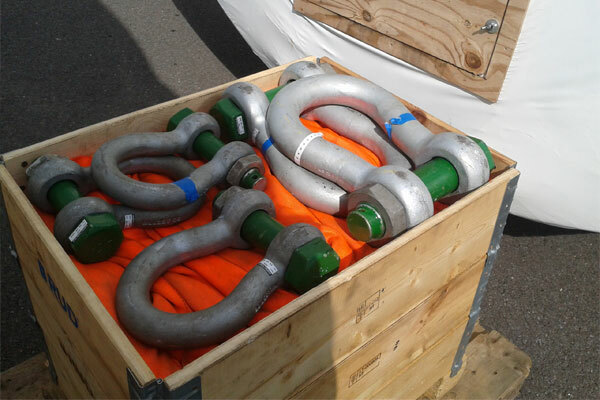 Our expertise is backed up by Barton’s wider 30-year success story in the supply, design, manufacture, maintenance and inspection of lifting gear across all industries, ranging from aerospace, pharmaceutical, heavy manufacturing to oil and gas. Through our membership of the Lifting Equipment Engineers Association we have benefited over the years from invaluable advice, consultancy and training. 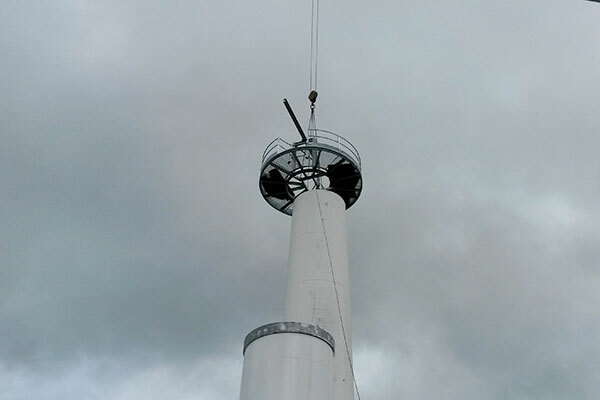 We provide examination, statutory inspection, testing and maintenance services of all types of lifting gear during the construction and the operational life of the wind turbine. 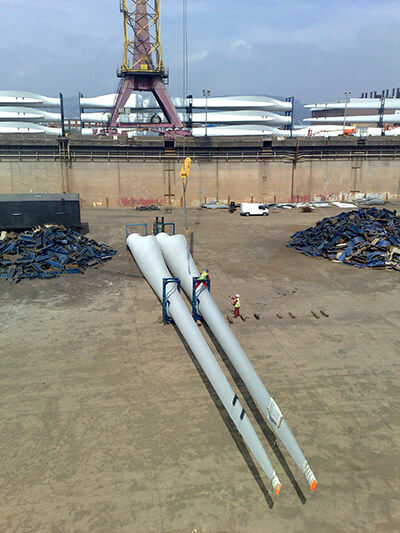 Our expertise covers a wide range of equipment in wind turbines; this includes, but it is not limited to: davits, service buckets, nacelle jib cranes, runways and lifting beams, lift support beams, manual and electrical hoists and winches. Under Regulations 9&10 of LOLER 1998 in the United Kingdom and The Safety, Health and Welfare at Work (Construction) Regulations, 2001, S.I.No.481 of 2001 in Ireland, employers have a legal obligation to conduct regular examination and inspection of lifting equipment. Employers are required to examine lifting equipment thoroughly, for any defect, which is, or may become a danger to persons. 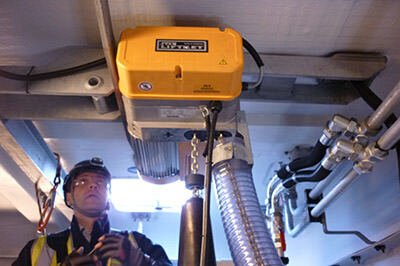 Thorough examination and statutory inspection of lifting equipment to maximise safety. 24 hour call out availability. Planned work around customer requirements. 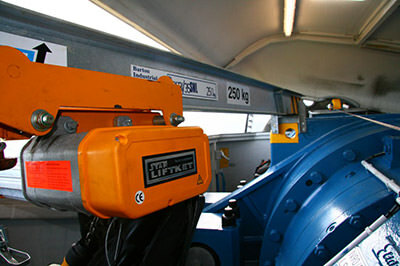 On site load testing of overhead cranes, jib cranes, runway and lifting beam and hoists. "Our Tractel approved Tirak hoist and Blocstop workshop servicing and testing facilities has meant that our dedicated mechanical technicians have over the last six month been able to service and stringently test over 600 blockstops for clients based in the UK, Ireland, Sweden and mainland Europe." Development of inspection and maintenance procedures. Bespoke product design of lifting beams and jib cranes. 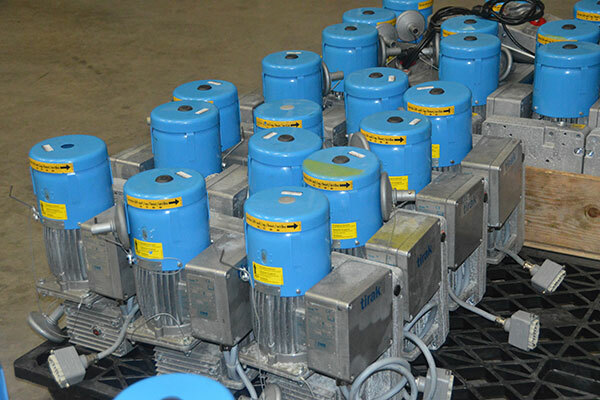 Our fully qualified lifting gear technicians are equipped on site with PDAs. They follow a rigorous training regime to stay abreast of safe practice and industry regulations, both offshore and onshore.